Another Friday, and who doesn’t love a good subscription?! 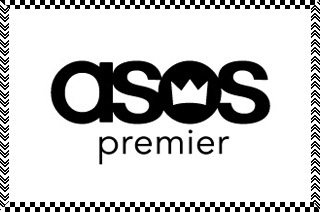 I umm-ed and ahh-ed over becoming an Asos Premier member for a few days before taking the plunge, trying to decide if it was worth the £9.95 for a year. Long story short, I have no regrets! Premier members get free Next Day or Selected Day delivery, normally £4.95, as well as exclusive and early access to sales, and free collection for returns. My wardrobe is almost entirely comprised of Asos clothes, so for me, this was totally worth the money! If you haven’t read other posts where I talk about my love of Fabletics, here it is again! At the start of each month, I get personalised outfit choices sent to me, and I can choose from the huge range, or skip the month if nothing grabs me. Spoiler, something pretty much always grabs me. Purchases also gain you points, points mean free outfits, and I recently got my first free outfit from my points balance! VIP members get outfits (and individual items) at a reduced price, and free delivery on all outfits. Oh, did I mention the clothes are amazing?! Just get it, like now. I can’t live without Prime. Free next day delivery on eligible items, Prime Instant Video, Prime Music, exclusive sales.. Your favourite online retailer just got even better. What you want, when you want it, and then some. Boom. I have the Netflix account, and the whole family uses it. I can watch it on my tv, my laptop, my ipad, and so can everyone else; setting up individual profiles within my account means the girls have unlimited access to kids programming, while Dad and I share a ‘grown-up’ profile that’s separate from my aunt and uncle’s. For £5.99 a month, seven of us have access to the huge selection of movies, documentaries and tv shows Netflix has to offer, and sometimes I lose entire days to catching up! While I don’t currently have a subscription, I really like Graze boxes, and I think its a great idea; healthy snacks dropped right at your door or office, from nut mixes and popcorn to flapjacks and brownies, yum! This entry was posted in blogging, Favourite Five, lifestyle, lists and tagged Amazon Prime, Asos Premier, Fabletics, FFF, Friday Favourite Five, Graze, Netflix. Bookmark the permalink.